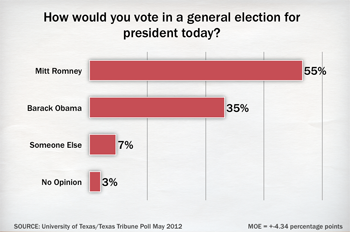 Out of 800 registered Texas voters, 48% are "extremely interested in politics and public affairs". 32% vote in every election and another 35% vote in almost every election. Yes, we’re probably in for a couple of run off elections, and yes, it will get even uglier. But the voters are better informed than I was afraid.